Happy Friday! I hope you've had a great week! Today, I'm sharing my weekly roundup of what I'm currently loving. 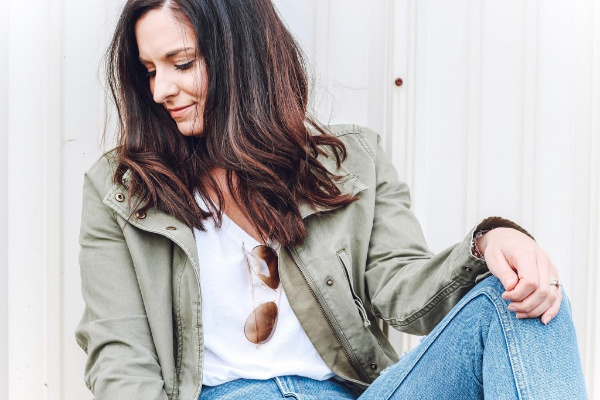 These roundups are my favorite to put together when spring rolls around because I just love dressing for spring. Yes to sandals, skirts, and short sleeves! 1. 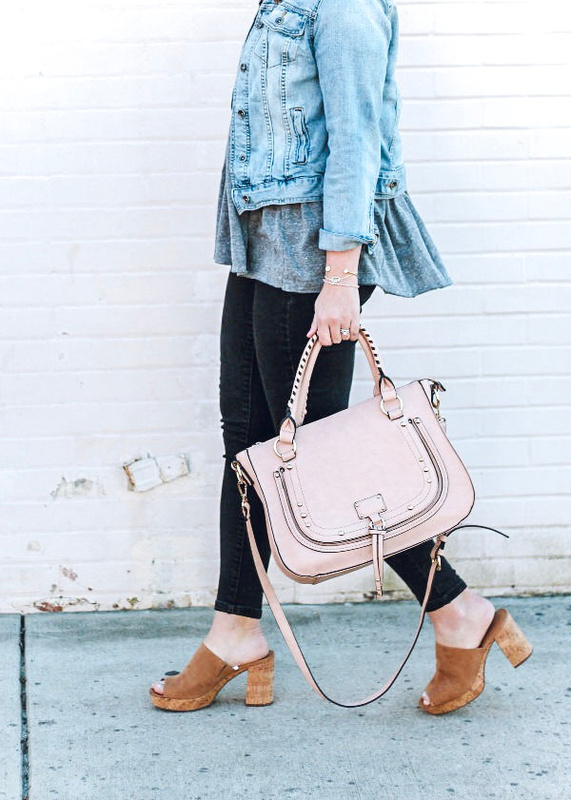 P LA T F O R M M U L E S | I bought these mules last year and I'm so excited to see that they brought them back again this season! This color will go with all of your spring outfits. I wore them with jeans, skirts, and dresses last spring and summer. Plus, they are budget friendly! 2. S H O R T S | I tried this shorts on in store the last time I visited Madewell and I kept thinking that I wish I would have purchased them. They are so comfortable! I found the fit to be true to size. 3. B A G | I love neutral, straw bags for spring and summer. When spring rolls around, I always gravitate towards my straw bags! I love this round one and it's under $35! 4. S K I R T | I ordered this skirt this week and I can't wait to get it! I absolutely love the color, the style, and the fact that it has pockets. I'm excited to style this one for y'all! 5. S N E A K E R S | I have owned my white pair of Converse sneakers for right at five years and it's time for an upgrade. I love the Shoreline style. I love wearing them with everything, especially skirts and dresses for a casual look! 6. N E C K L A C E | Shells are popping up everywhere for spring and summer. I love the simple, dainty style of this super affordable necklace! 7. S L I D E S | These slides are at the top of my wish list! I always love leopard and really love the fact that these just instantly make an outfit feel so much more fun. 8. T E E | I share this tee all of the time here on the blog and on Instagram, but really, it's the best white tee I have found. Especially for the price! The regular price is only eight dollars. I own several of these and they aren't see through at all, just be sure to wear skin colored bra. Thank you so much for visiting! I hope to see my local girls at J. 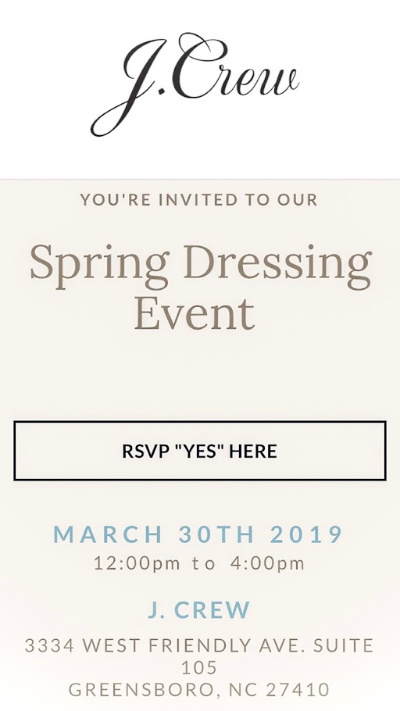 Crew tomorrow for the Spring Dressing Event! I also can't wait to share my outfit for the event!